To help explore the information contained within the Matrix Visualization, several features have been implemented. First, the size of the matrix can be scaled in multiple ways. Second, the trees can be used to collapse and expand areas of interest within the matrix. Lastly, the matrix can be restored to its orginal scaling by choosing "Matrix" from the menu bar and then "Reset Sizing". The matrix can also be automatical scaled to fit the screen by choosing "Fit to Screen" in the "Matrix" menu. 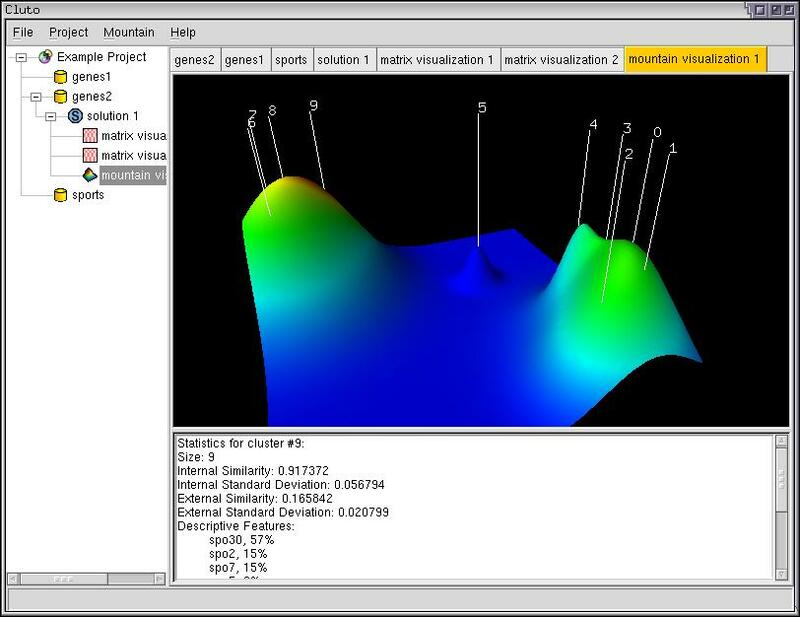 MDS allows users to make inferences about their data using the Mountain Visualization. 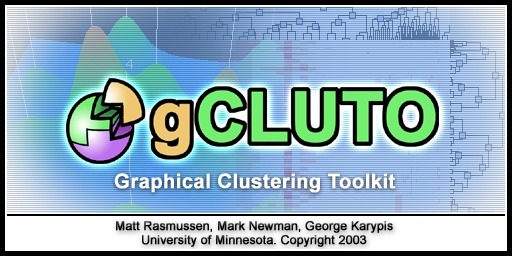 For example, in Figure 3.3 a data matrix was clustered into ten clusters. 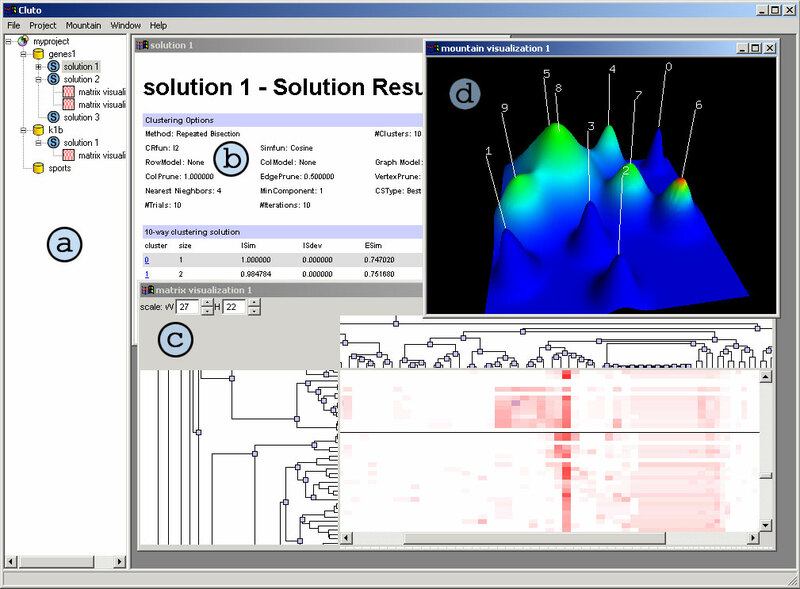 The Moutain Visualization represents these ten clusters as ten peaks labeled by their cluster id. Although ten clusters were requested, MDS has placed the peaks in two distinct groups. We can infer that clusters within each group are strongly similar, while widely different from clusters in the other group. 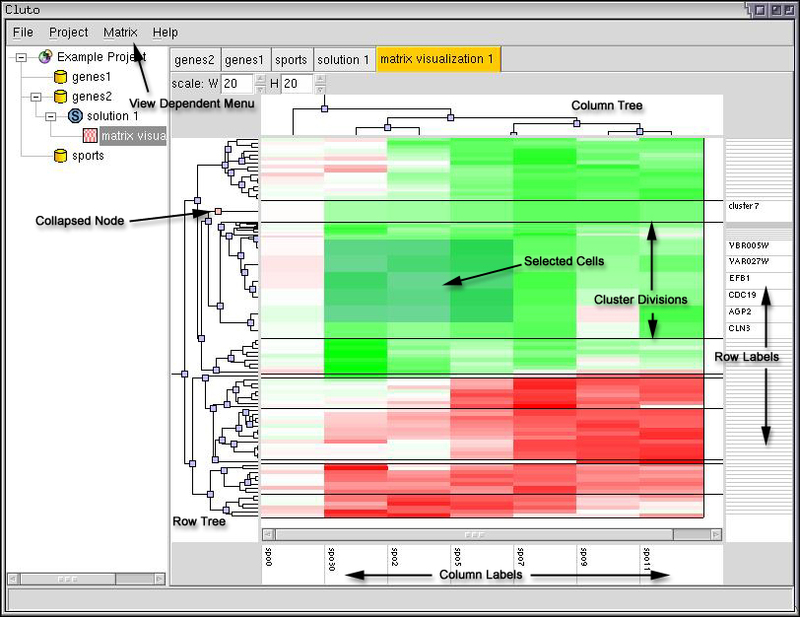 Thus, the visualization suggests the data would better lend itself to a two-way clustering. Note: When comparing peak heights keep in mind that the Mountain Visualization has added the peak curves together. As seen in Figure 3.4, the resultant height is taller than the true height.